Early December many fansites as well as some EA community managers from various regions were invited to visit EA's headquarters to check out two upcoming titles from the Sims Division. One of them is still to be kept secret and thus a preview of that title will be posted once it's allowed. 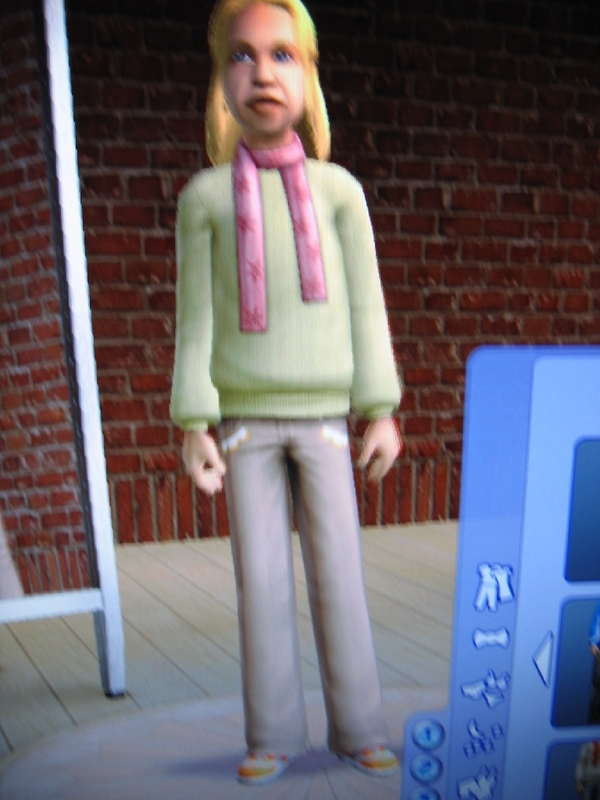 The first game that we can reveal is called Seasons, the fifth expansion pack for the Sims 2 on PC (and probably Mac at a later date). 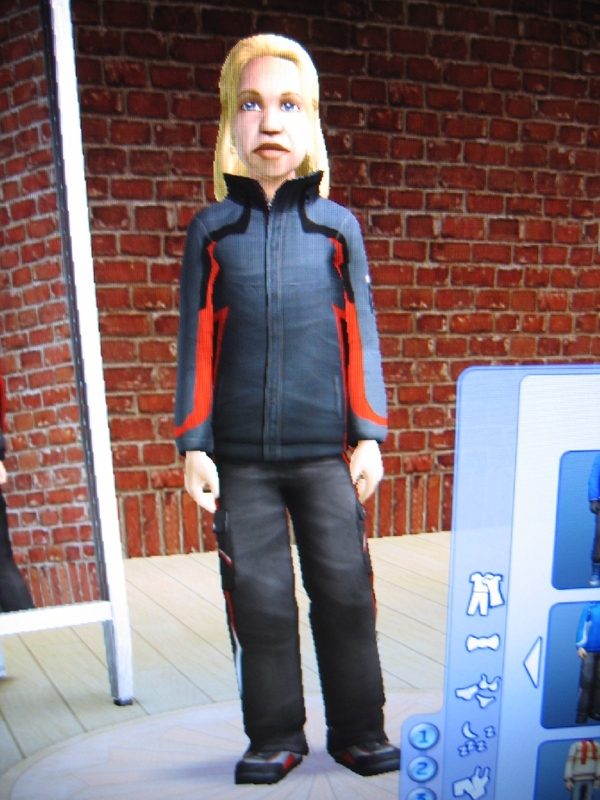 The fans got an exclusive look at the game, the first anybody besides the developers got. Before I begin with the preview, there's one more thing to say: thank you, developers, for letting us, the fans, kick your behinds in the trivia quiz on the day of the event. 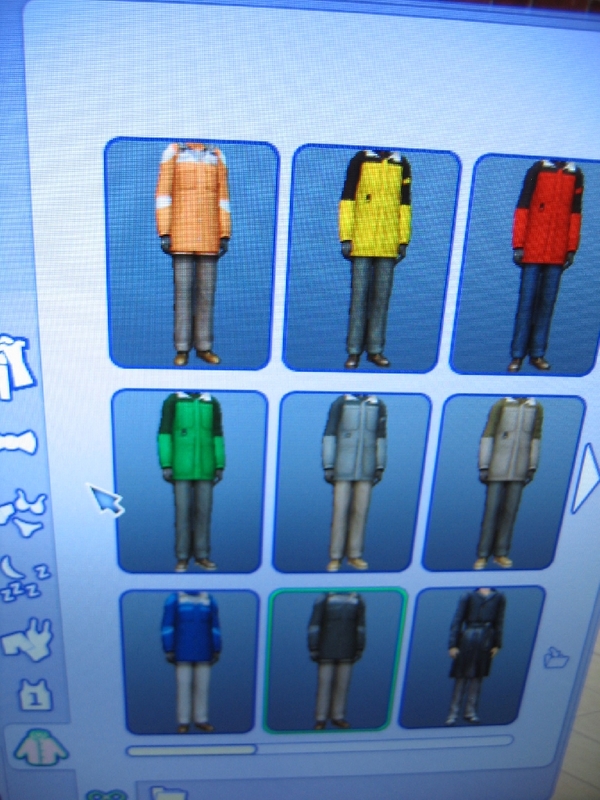 Please note that the pictures with this article are exclusive to The Sims Zone, and may not be republished on other websites without permission. Please link to this article instead. The pictures also show a product still in development. As they are taken with a digital camera from a computer screen or a big screen, they may not be of the quality you can expect from the final edition of the pack. Features shown or mentioned may also be changed, tweaked, tuned or removed from the final version. 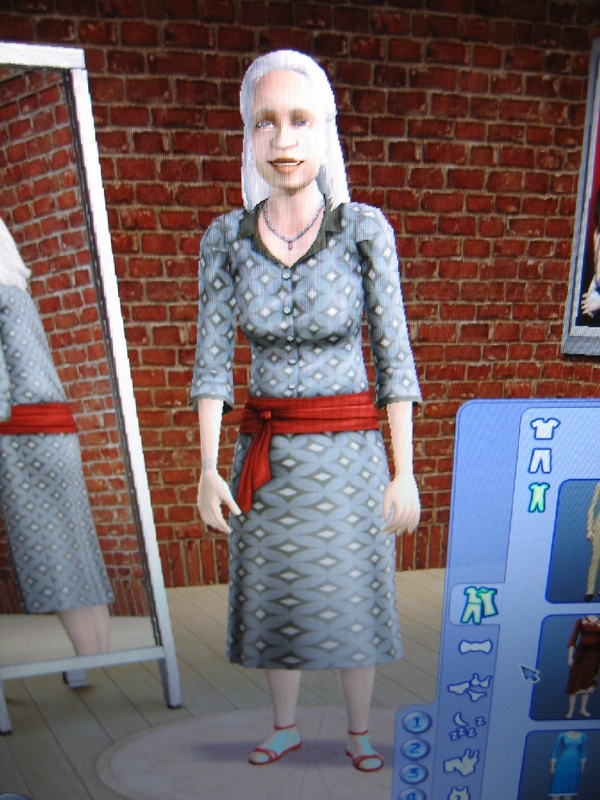 Nevertheless this preview should give you a good indication of what the expansion pack will be like. 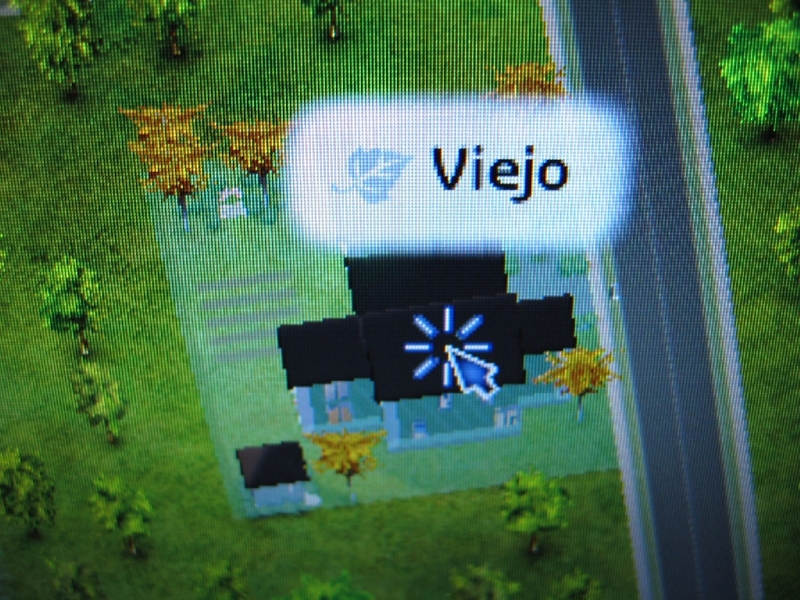 When you first start the game you'll see there's one new neighborhood joining Pleasantview, Veronaville and Strangetown. 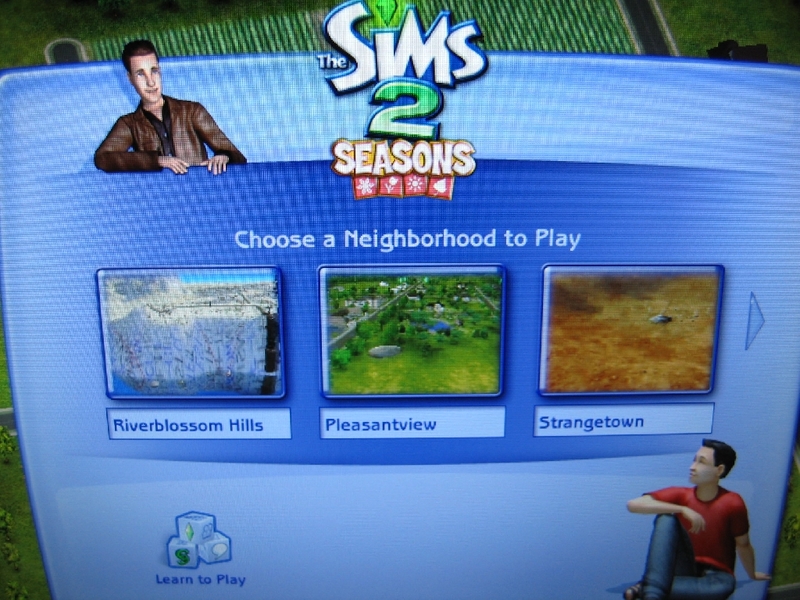 "Riverblossom Hills," which by default will show you a neighborhood in the middle of the winter contains several new families showing off some of the new features in the pack. There's no new area like there was in the first three expansions, but an actual completely new neighborhood. That's also what you'll find this expansion is mostly about. 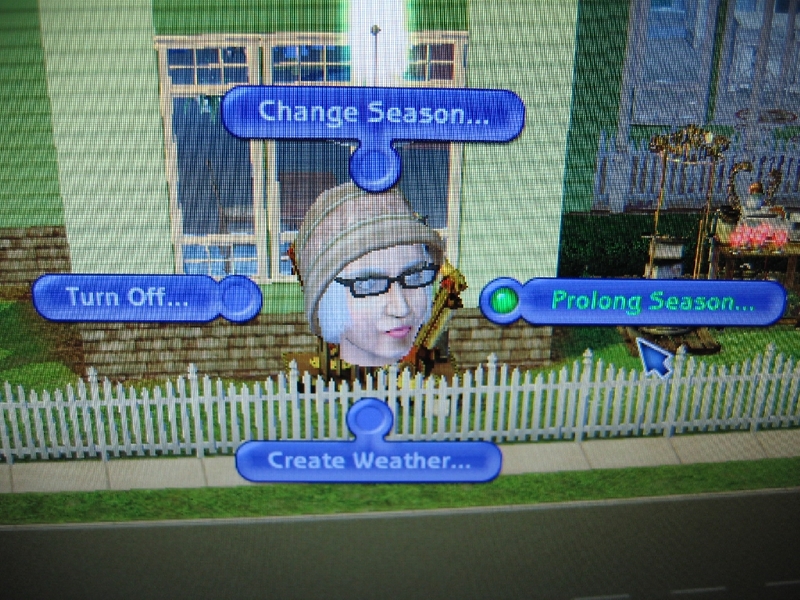 Rather than taking Sims to another type of community lot, Seasons is all about making the default game, at home, more fun. 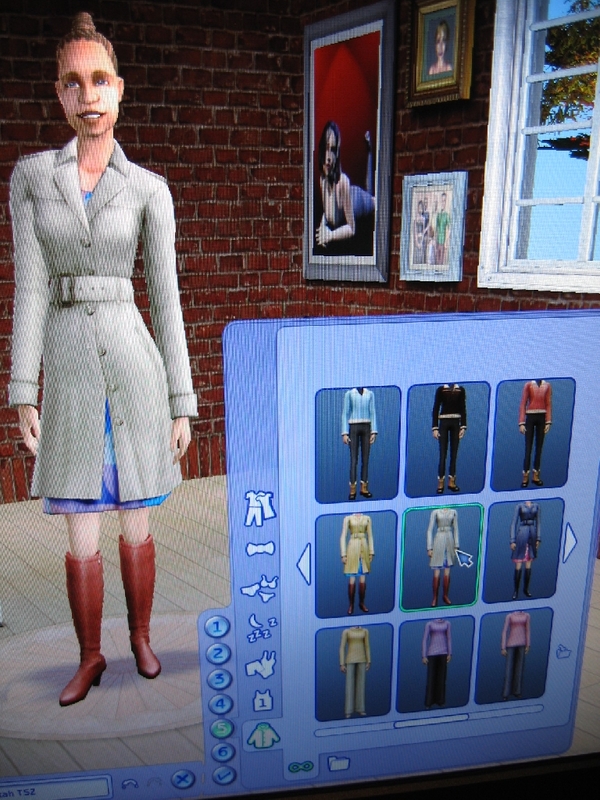 Most of the new features are for in and around the house, expanding the family life. 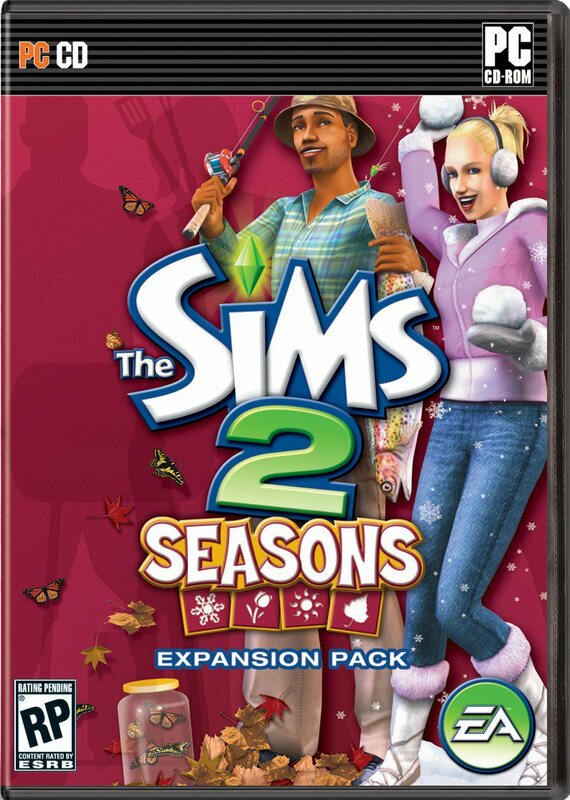 As the title of this expansion pack suggests, it's all about the four seasons of the year. 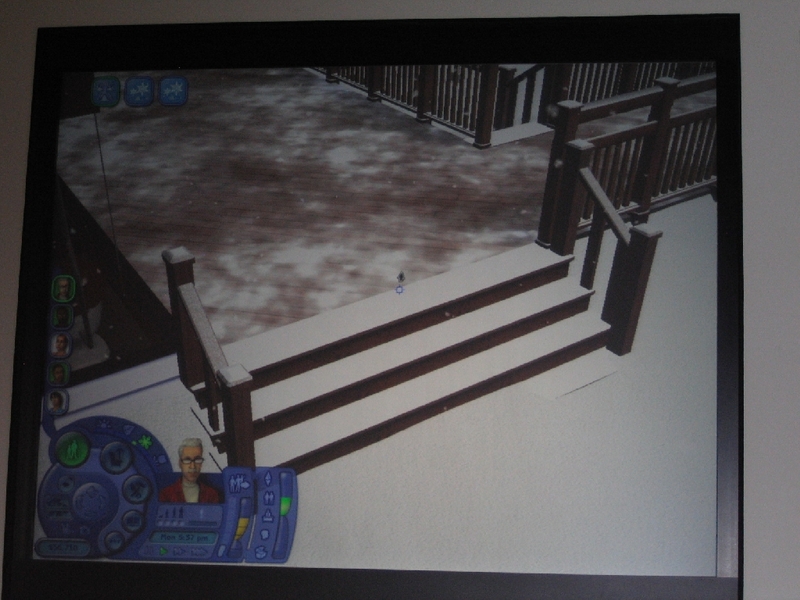 It'll put you in a state where you can have your Sims live in the summer, like they do now, or in fall, winter or spring. To go through these seasons a new sort of calendar has been added to the game. Every season will probably last 5 or 6 days, although that's still being tuned at the moment. 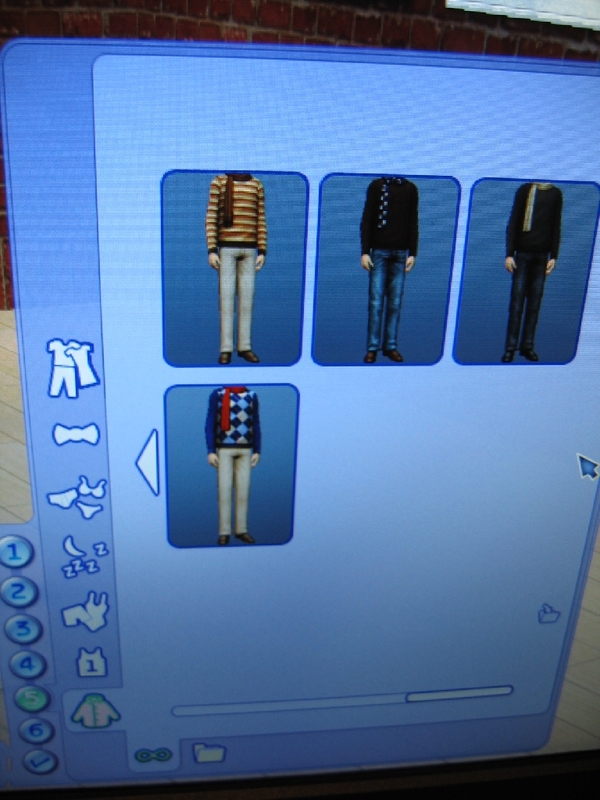 This way every Sim will see all seasons a few times in their lifetime. Even though this calendar is added, there's no shared time between the lots in a neighborhood. Every house runs in its own season at any given time. 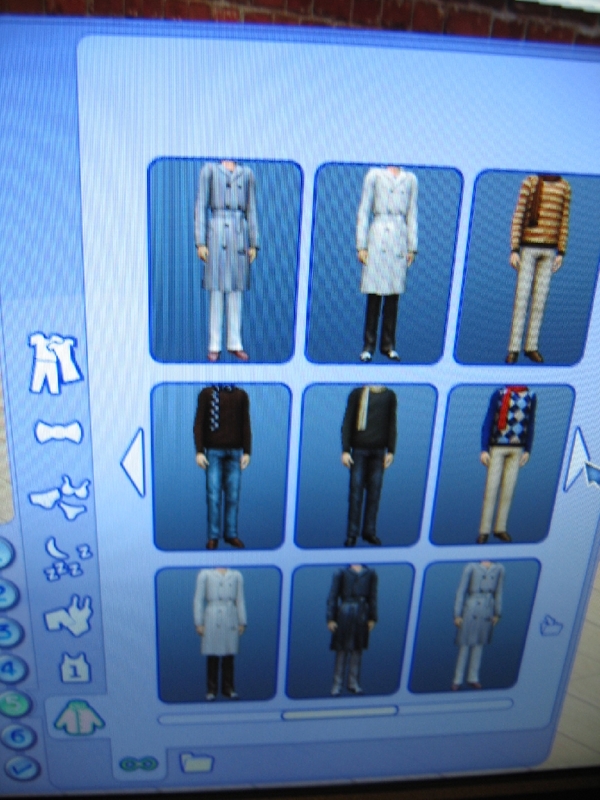 Your Sims are not limited to just living in the regular cycle of spring, summer, fall and finally winter though. 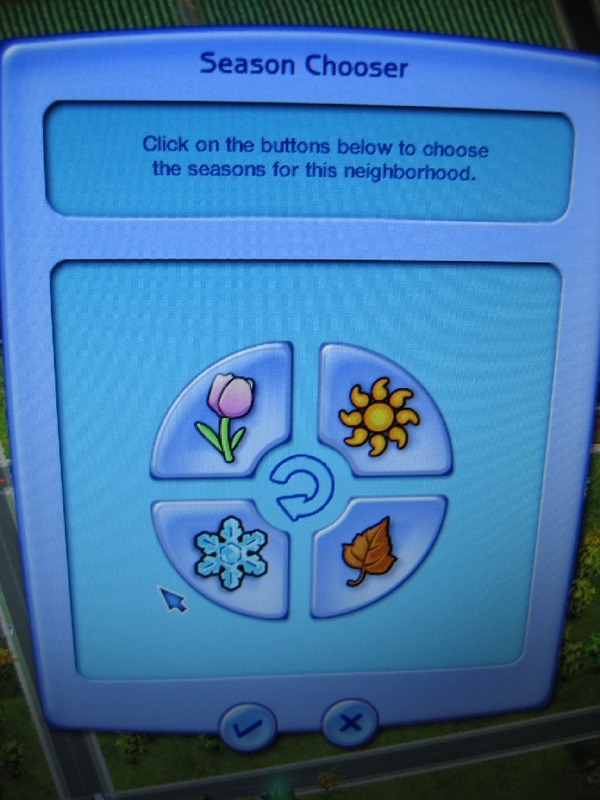 By clicking the expansion pack icon in the neighborhood screen, a window will pop up where you can configure the season cycle. You are limited to four season slots a year, each of which you can fill with one of the seasons.To keep your neighborhood the way it is now, you can for example set all four slots to summer. A quiet mountain town can live in just the winter and, as the Maxoids suggested, to simulate a town in California a cycle like spring, summer, summer and finally autumn can do the trick. Of course the seasons are more than just a cycle without any other effects. The biggest change they add is the weather. 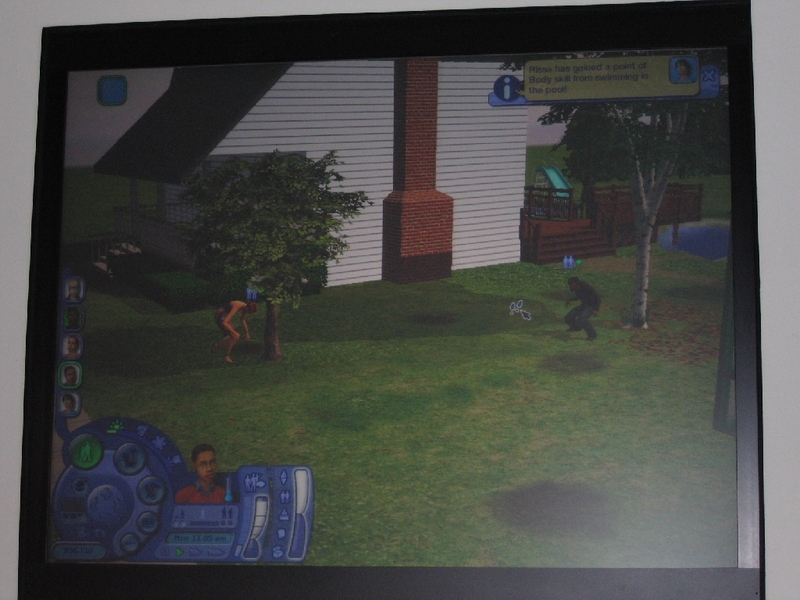 When the Sims 2 was shown well before the release, at E3 2003, the rain was one element that baffled a lot of the existing Sims fans. 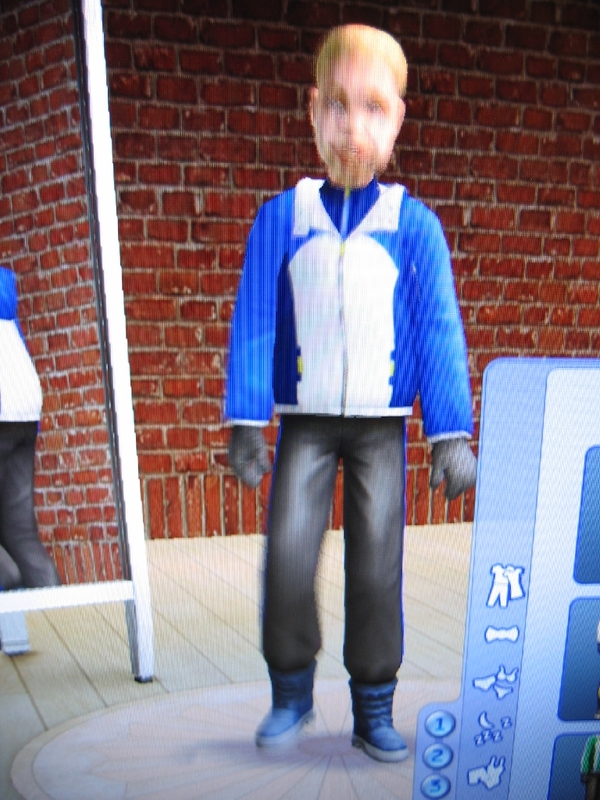 A Sim even got electrocuted during the demo. 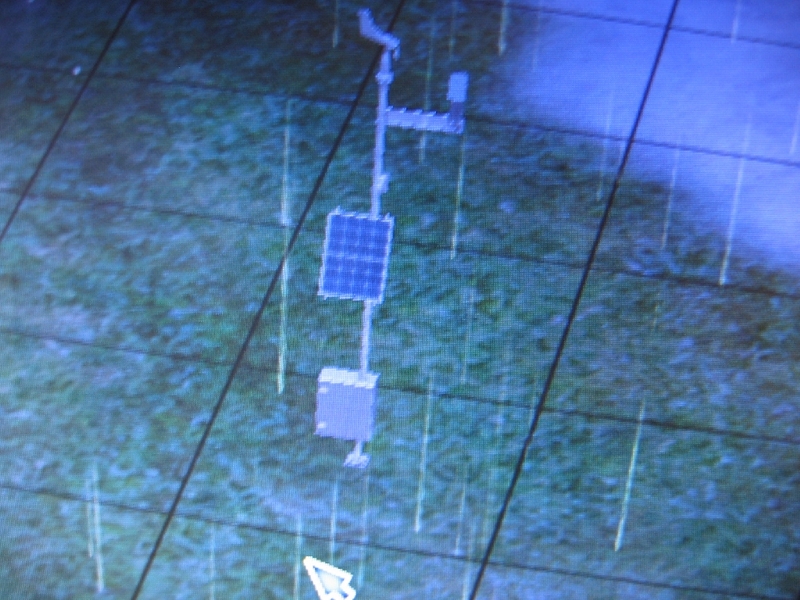 Unfortunately the weather was pulled from the game after Maxis was unable to resolve technical issues with it: it rained inside, an unwanted side-effect. Only hacks made rain possible, though not in the most stable way and definitely not officially supported. Seasons brings the rain and lightning back though, together with hail and snow. 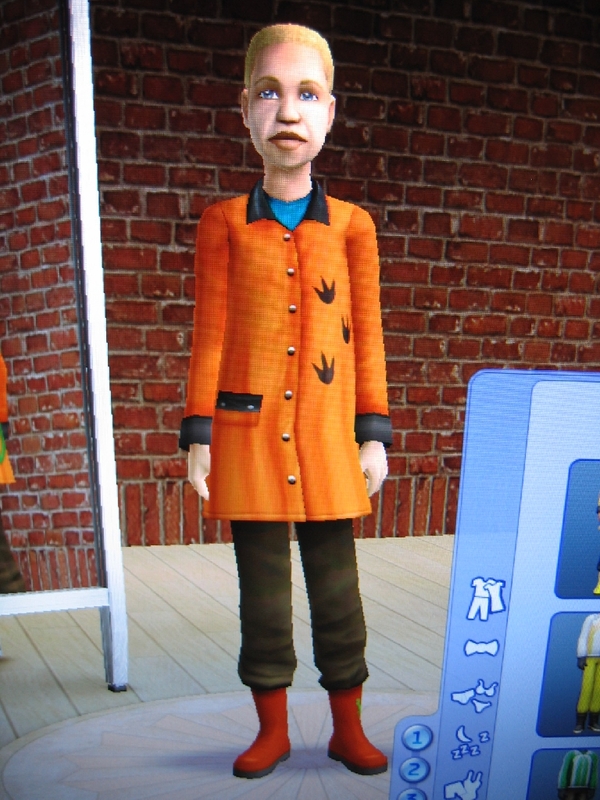 One of the biggest requests for the Sims 2 will finally be fulfilled. Probably the most typical type of weather will be the rain. 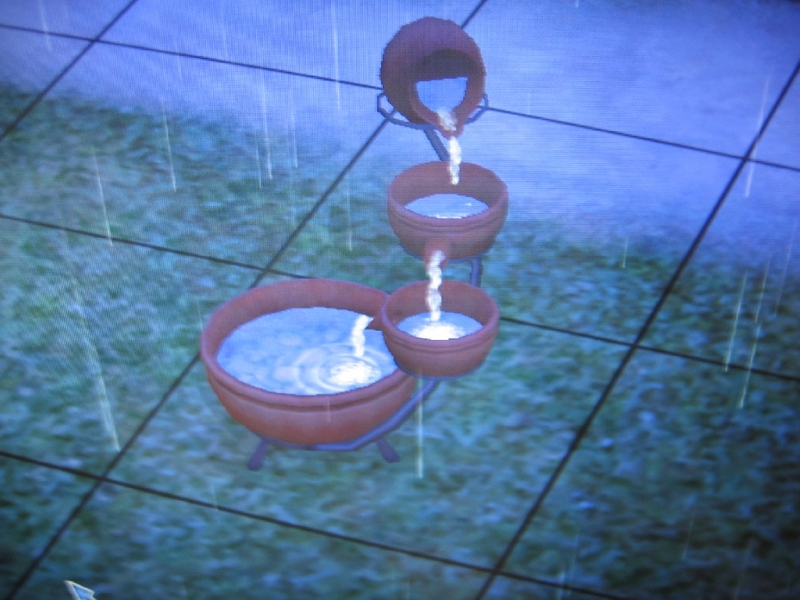 It's mostly just a bunch of water falling down from the sky, leaving some puddles here and there, and discomforting your Sims by draining their comfort and energy bars a little faster than usual. Heavy rain will also make the game show some light fog, but that's also as far as the fog goes. 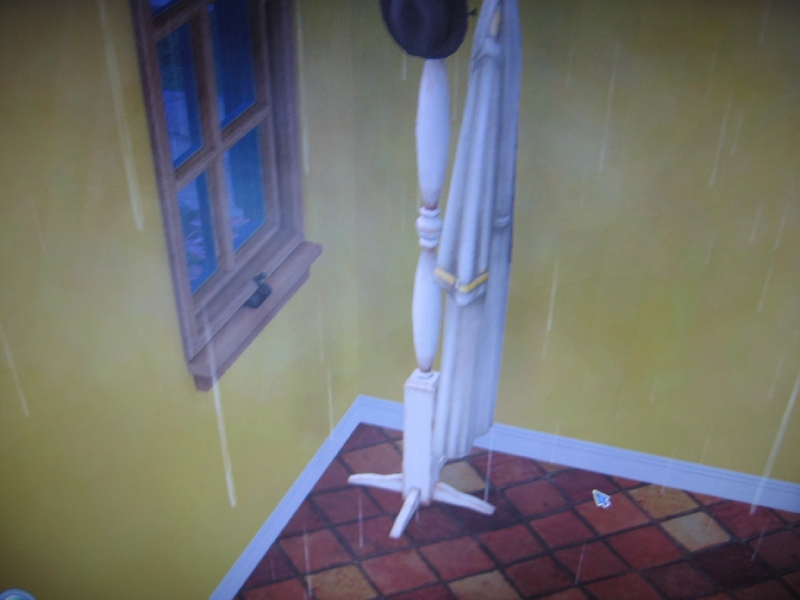 As for the graphical effects, it might sometimes seem to rain inside. At least as it was during the demo, this heavily depends on where the camera is. If it's in the house, you won't see any weather, while when it's outside you will see the rain. That also means that if the camera is just outside the house, you might see it as if it's all inside. Lightning can be a killer. Especially trees might have to suffer this weather, as electrocuted trees are something you might see more than just once when you have the game. The hail and especially the snow are more interesting. 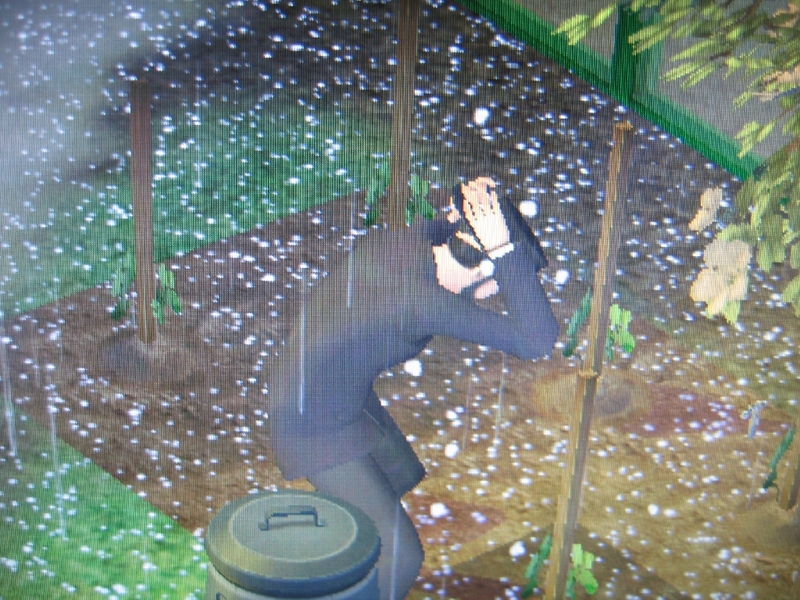 When it's hailing, and your Sim is outside, you'll see them trying to cover themselves from the rocks of ice, showing their discomfort. Instead of puddles, hail will also leave some of its rocks behind on the floors and objects. 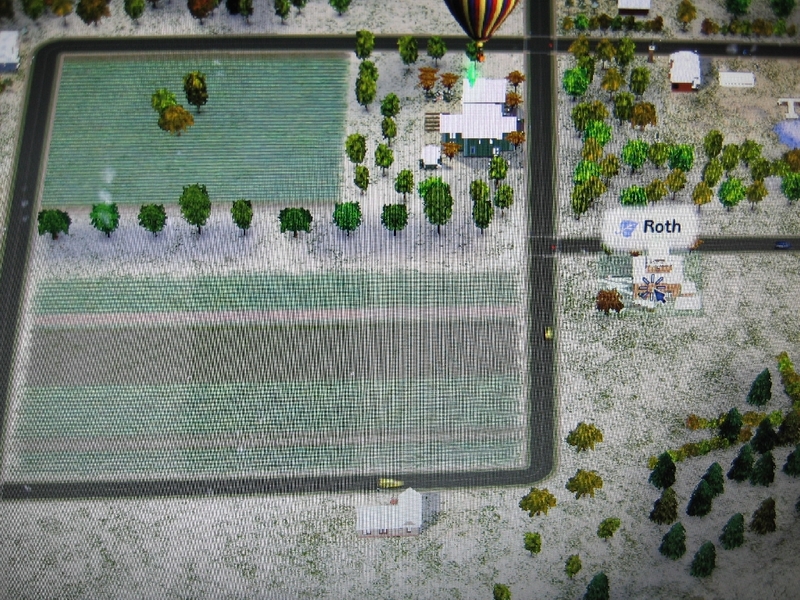 Heavy snow in its stead will cover the entire area (including the neighborhood area surrounding the lot) with a white blanket, bringing in a host of new gameplay options. Not just on the roof of the house and the bare area around it, but also on any object. 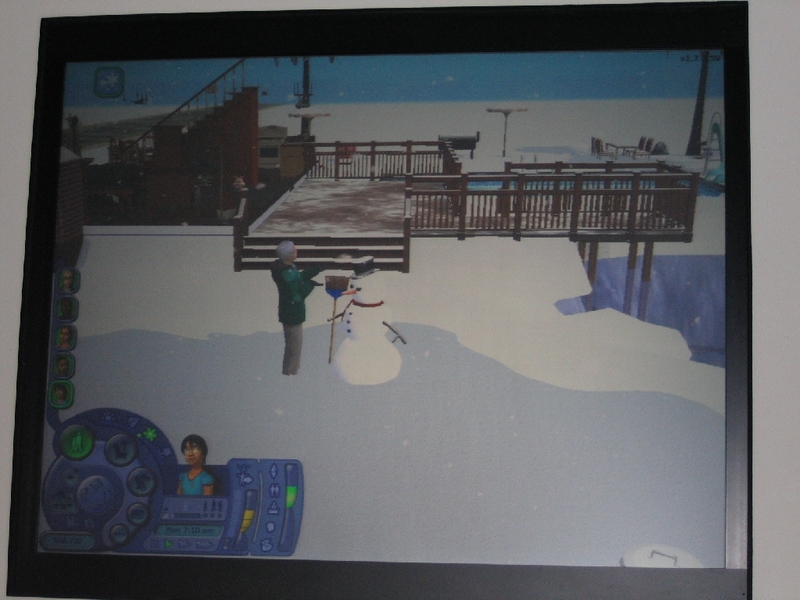 The developers made some procedural techniques that allow any item on the lot, including custom made or recoloured ones, to be covered in snow. Custom content will remain in tact this way, and there won't be a need to add custom colours to every single object and recolour. Oh, and for those with pets: there will not be yellow snow. Dogs will eat the snow though. When the layer of snow is thick, it might hide bills and possibly even babies or other small objects. A solution for that problem has been made though. 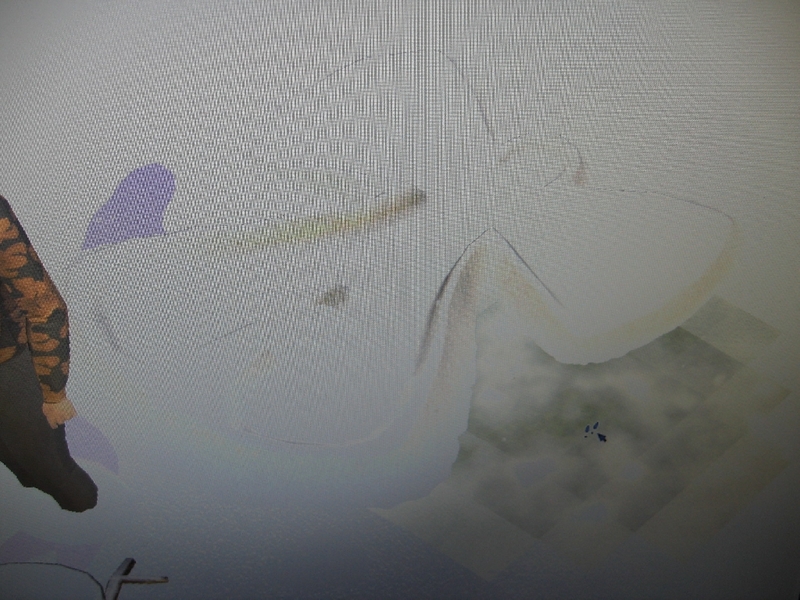 The objects will not be placed above the snow, but instead the snow will become transparent when your mouse cursor hovers over it. For bills you won't necessarily need to use the X-ray cursor though. 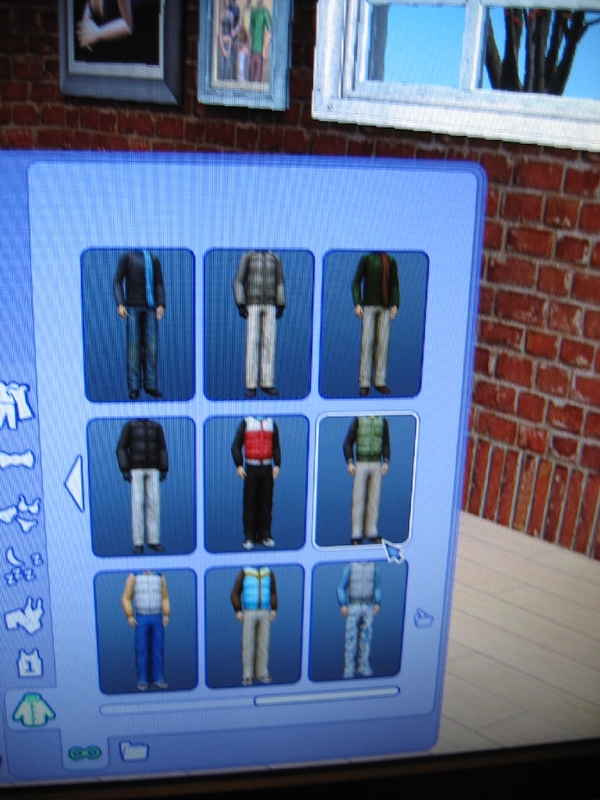 Clicking the mailbox and choosing to pay all bills will have your Sims search the lot for any bills lying around, and they'll pay them. 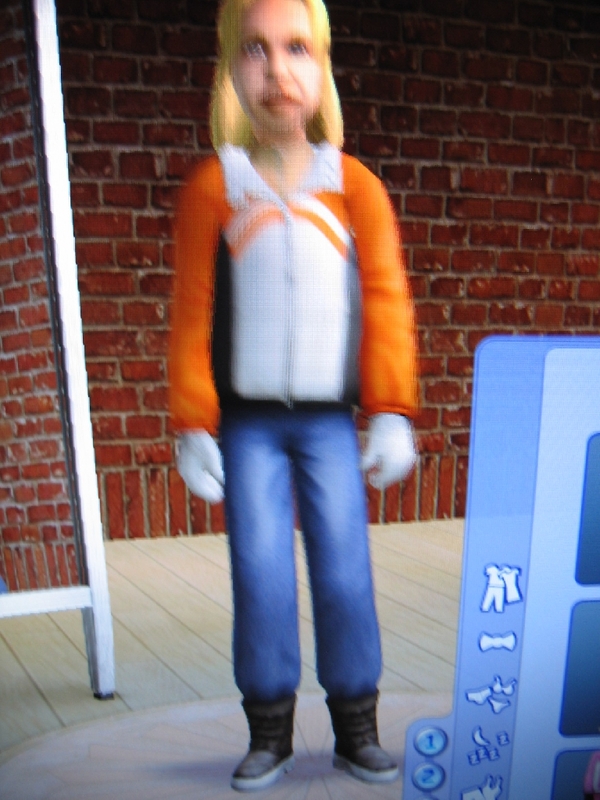 As player of the Sims you should be familiar with the power that you have. 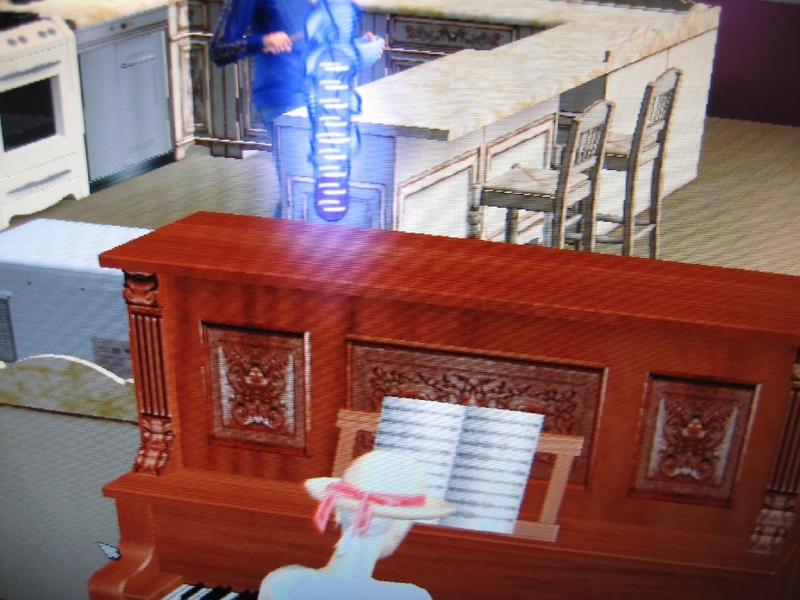 Almighty you can make your Sims do anything you like. 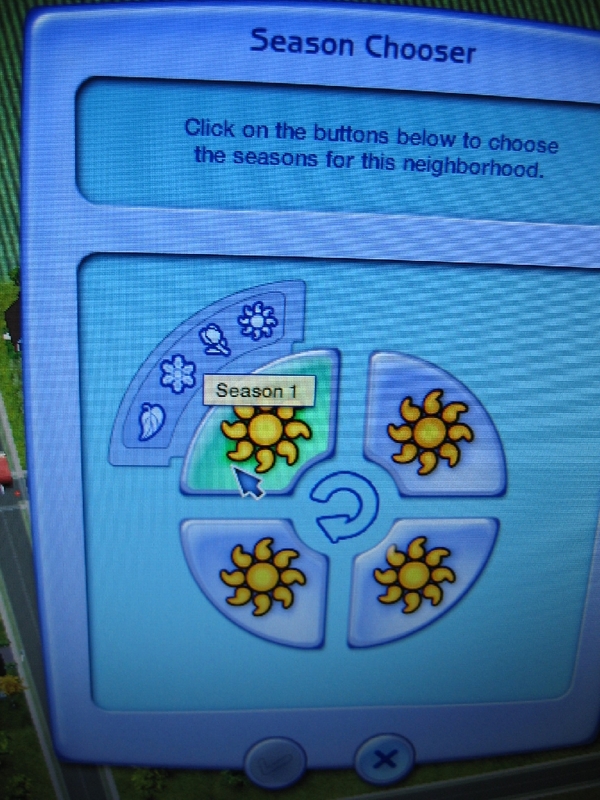 You can, as said above, even control the cycle of seasons your Sims will live in. But controlling the weather takes a little more. 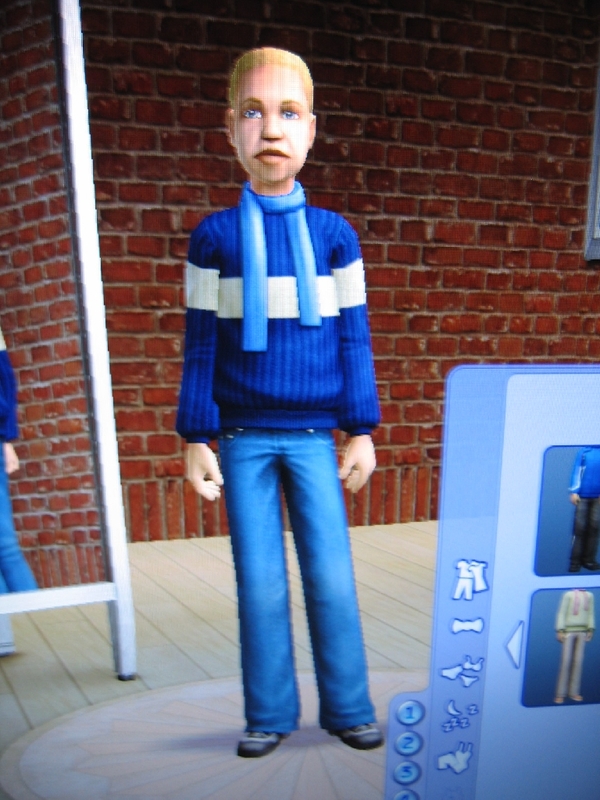 Normally the sky will fall down on your Sims fairly randomly, and there's little you can do about it. 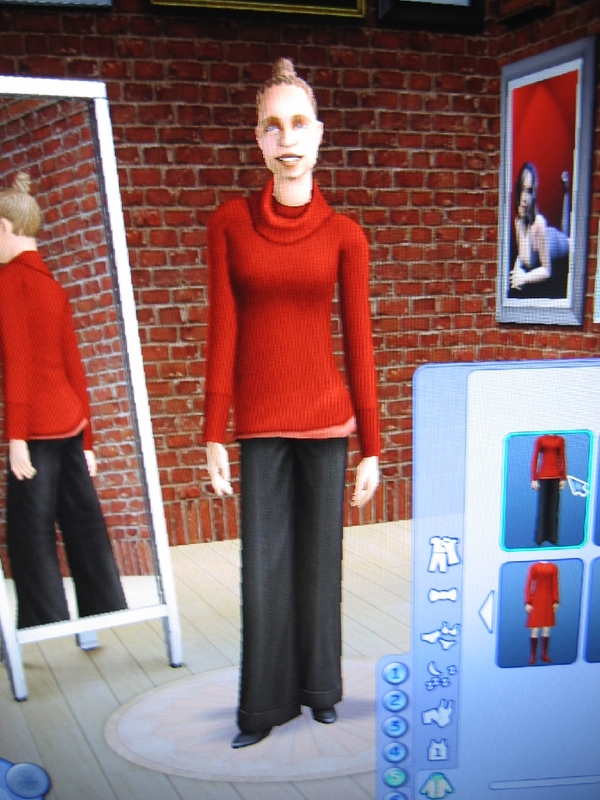 However, if one of your Sims has 7,000 aspiration points, you can. 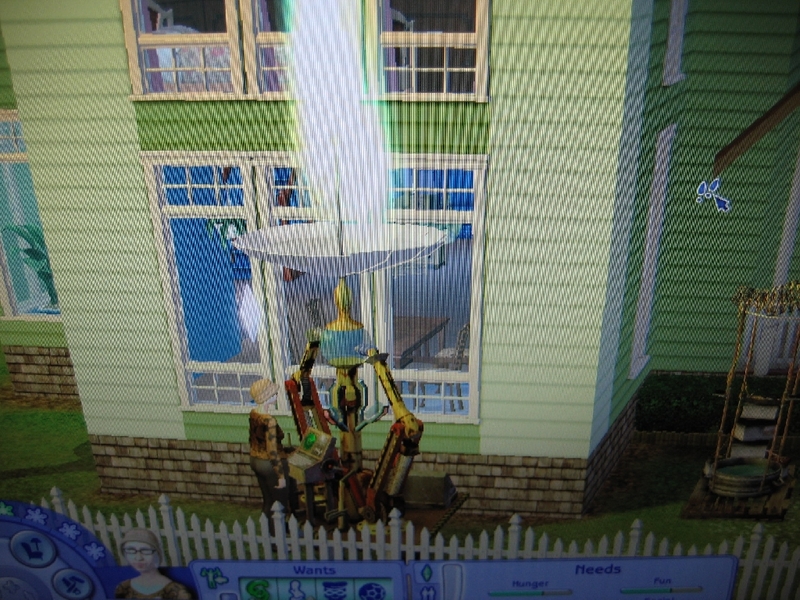 The new weather machine, basically an odd looking satellite dish zapping the sky when turned on, will put your Sims in control. 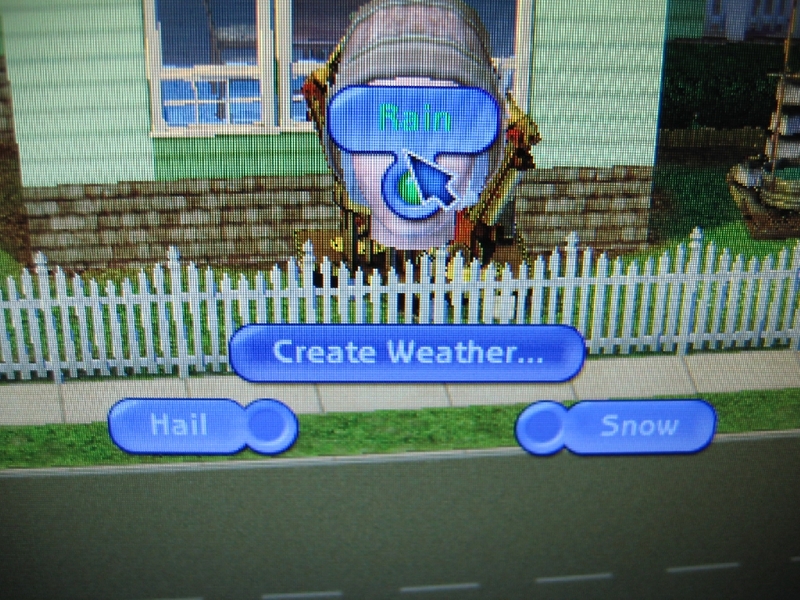 The weather machine can create the precipitation or clear up the sky as you wish. There's more to it though. 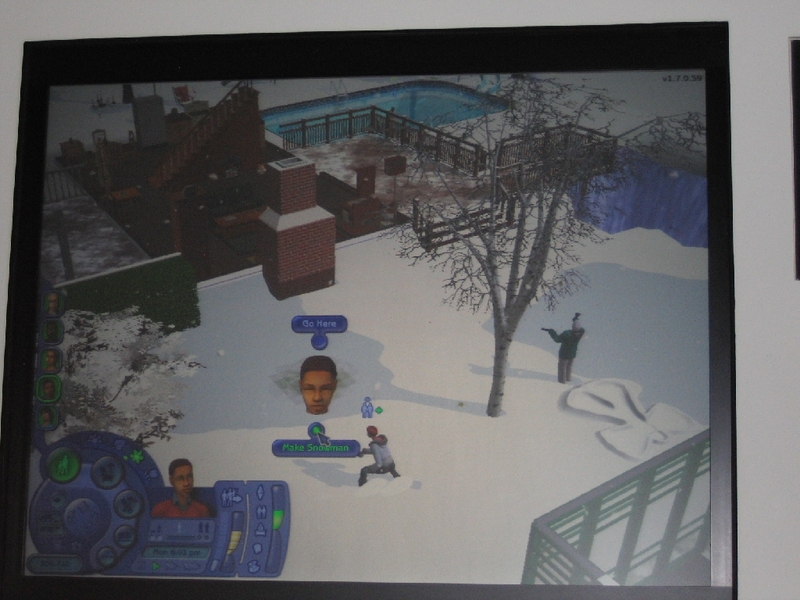 Giving you more complete control, the device will also allow your Sims to change the current season. Although only the seasons set in the neighborhood are available, you can make the sudden change from winter to summer. You can also easily prolong the current season by 1 or 3 days, or indefinitely. Difference in weather is nice, but each season has more than just that. Every season has special effects that influence your game. Especially socialising will be easier, and picking a season might tactically help you. When it's spring there's love in the air, so romantic interactions will get a bit of a boost. During summer it'll be easier to build relationships with friends, and during winter the family will get some extra attention. The only difference is the autumn, when tedious tasks like doing homework or training skills will be easier to do. 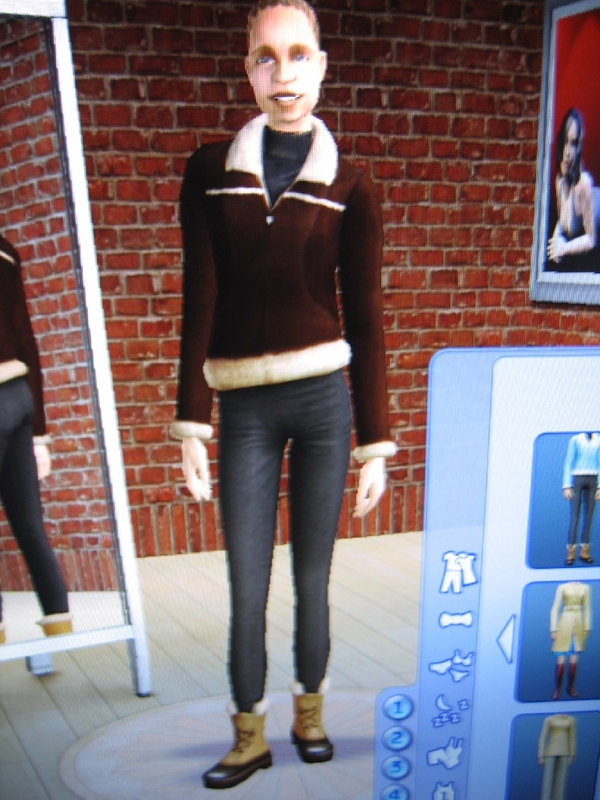 Finally, when your Sim is enjoying the outside life during any season, their needs will decay at a slower rate. 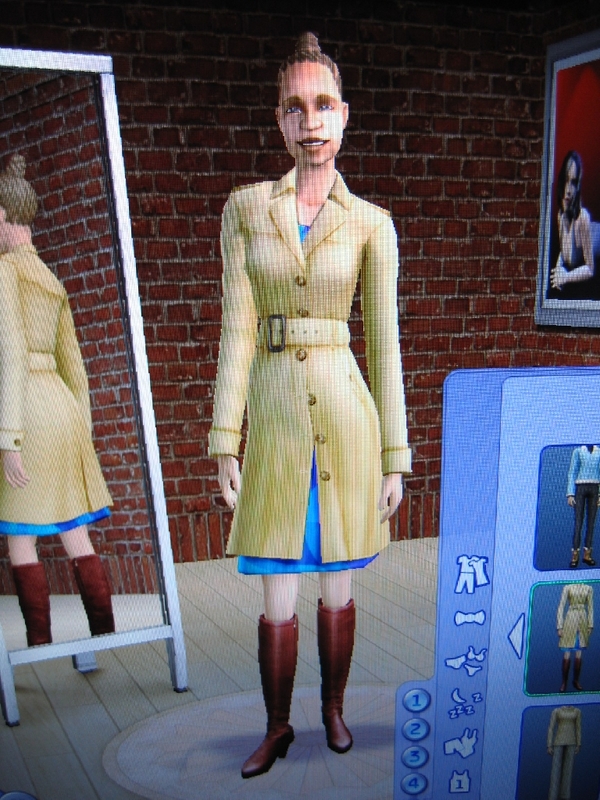 All in all some things will change tactically, especially when you want your Sims to be the best. Those aren't the only effects though. 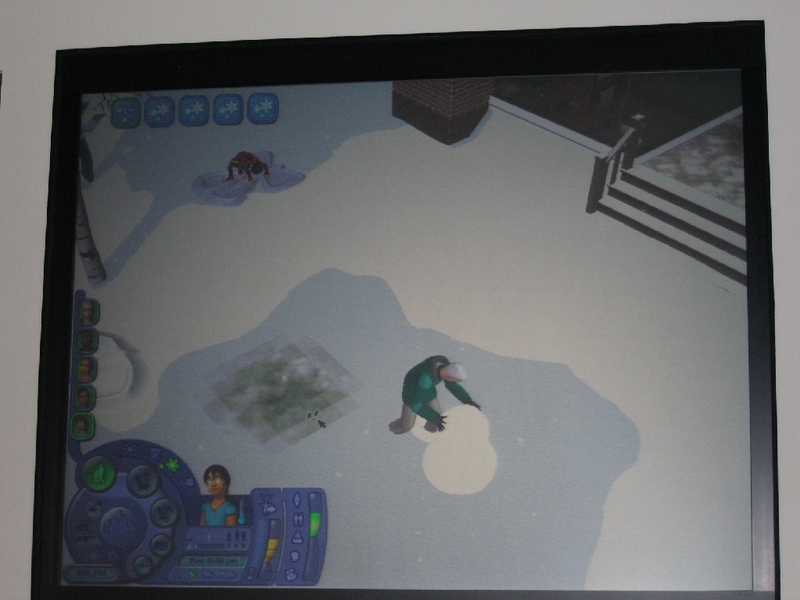 During summer your Sims will be able to have water balloon fights, while in winter they'll have snowballs. 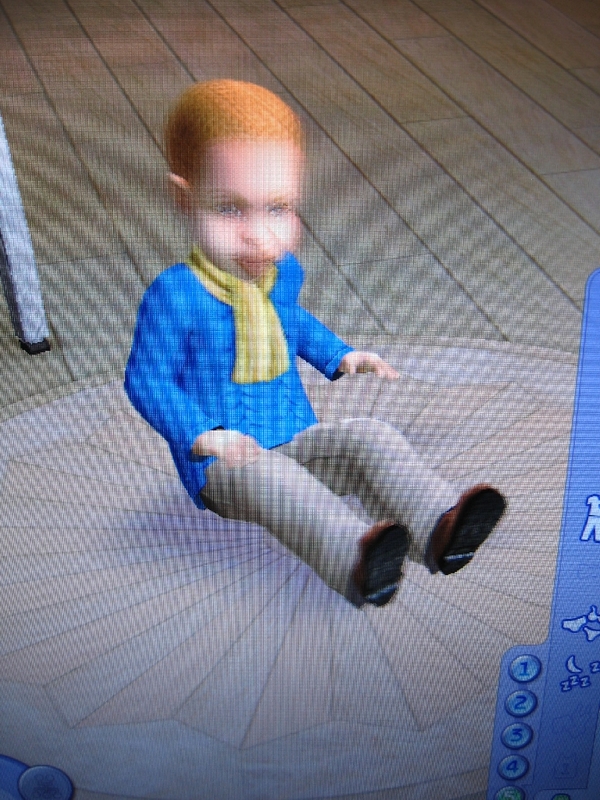 When it's been snowing - something that can also occur in spring - your Sims can also make a snow angel by dropping flat in the snow and carving it, or build a snowman using the snow from the floor. 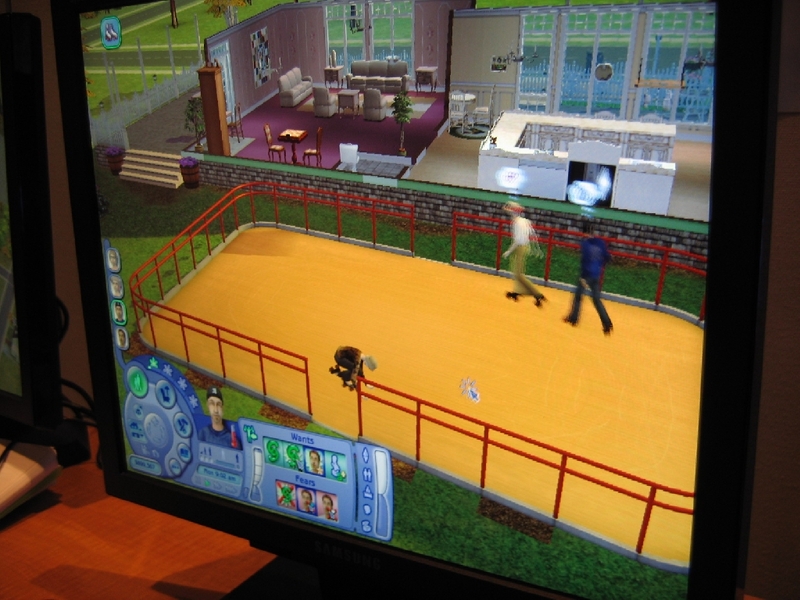 There are also rollerskating and ice skating rinks for Sims to enjoy themselves on. Of course summer usually isn't as cold as the winter is. 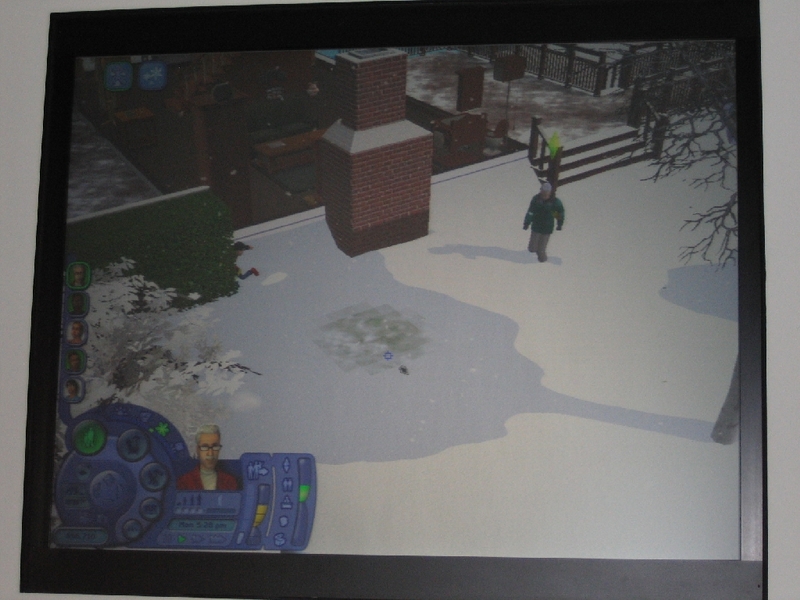 A sense of temperature will be added to your Sims after you installed Seasons. Each type of clothing is considered hot or cold. 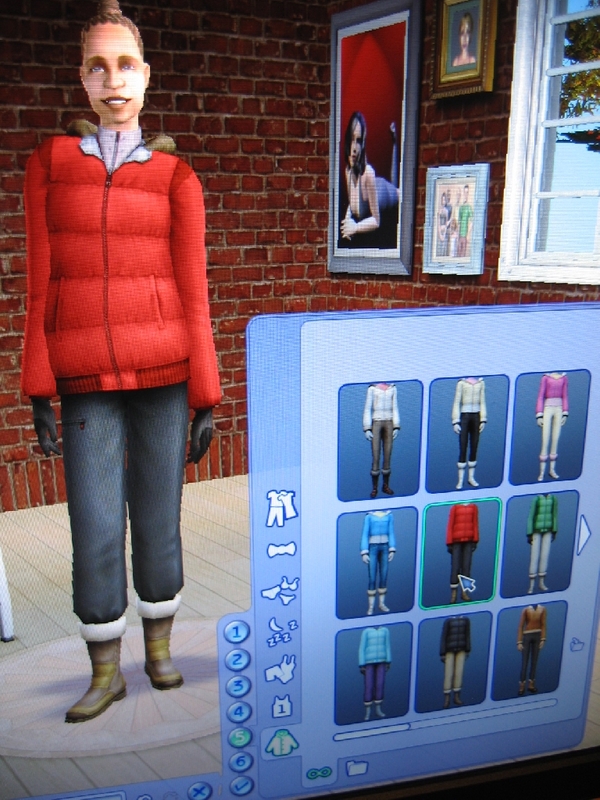 For example, swimwear and underwear usually don't cover too much, and will not keep your Sim warm outside in the snow. 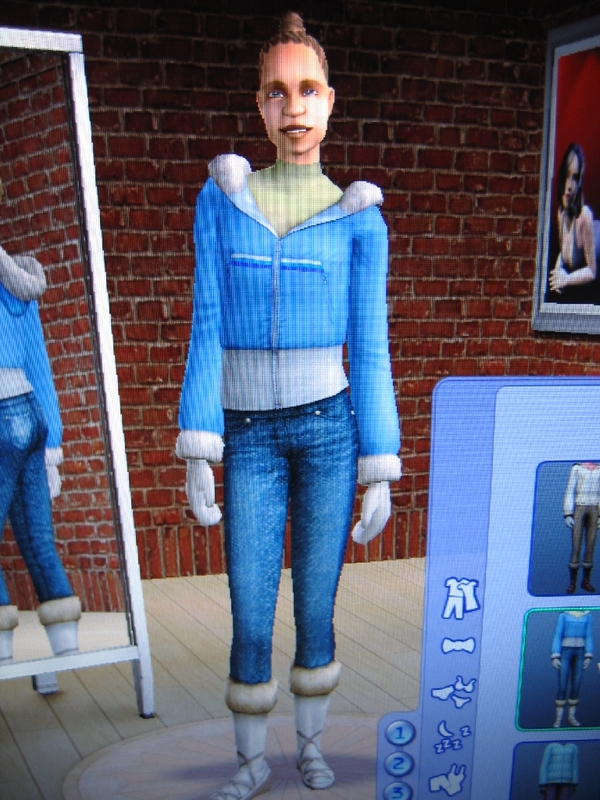 Dressing up nicely using new, warm clothes from the outer wear category in summer will make your Sims pass out because of the heat though. 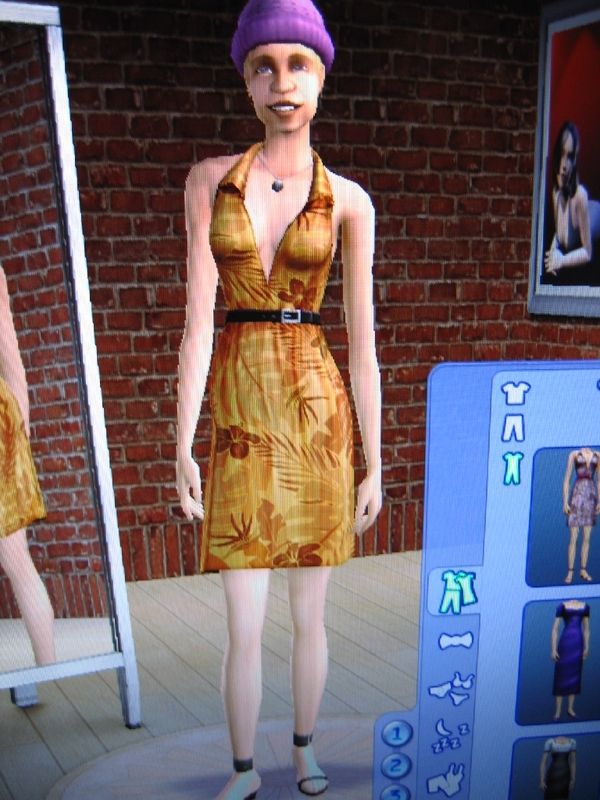 It takes another Sim to help your Sim recover in this case. 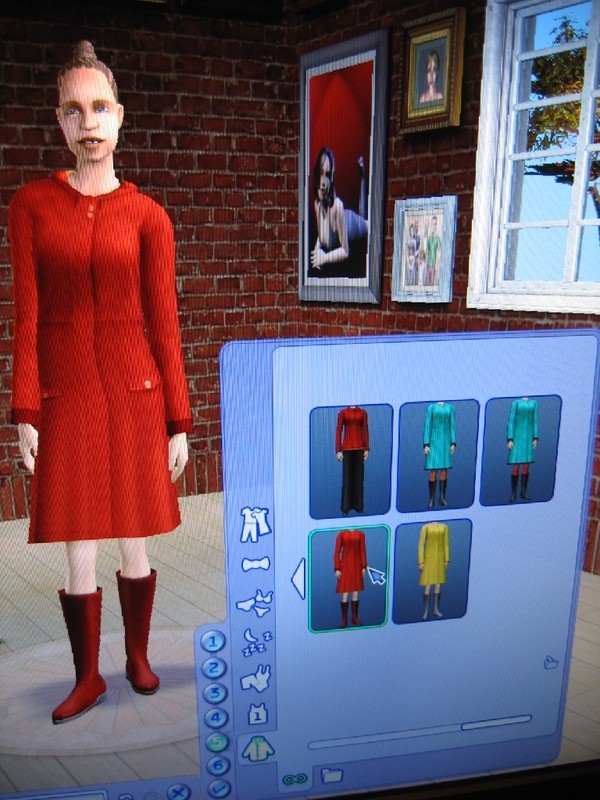 That can be either a family member, or a walker-by who, if they like your Sim enough, will unfreeze you with a hairdryer. 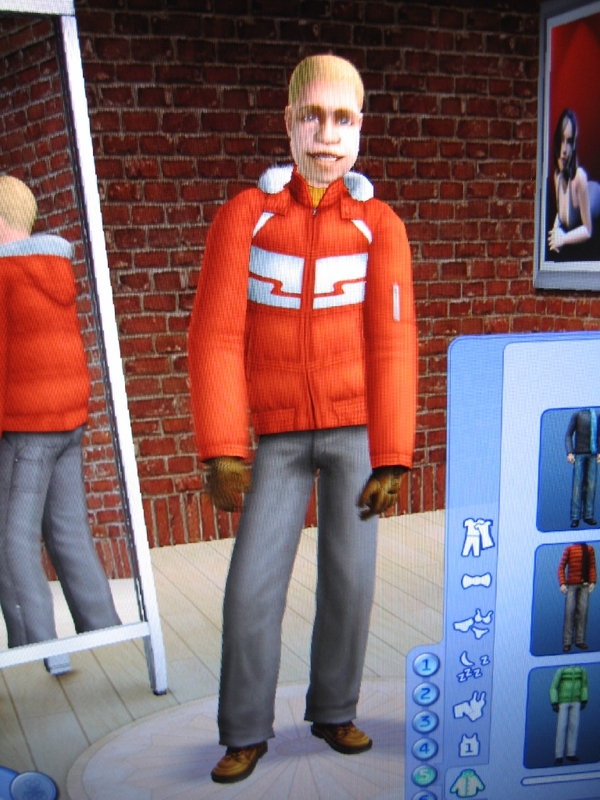 The outer wear category is new and consists mostly of coats and other winter clothing. For this purpose a coat rack has been designed, which acts as a wardrobe. 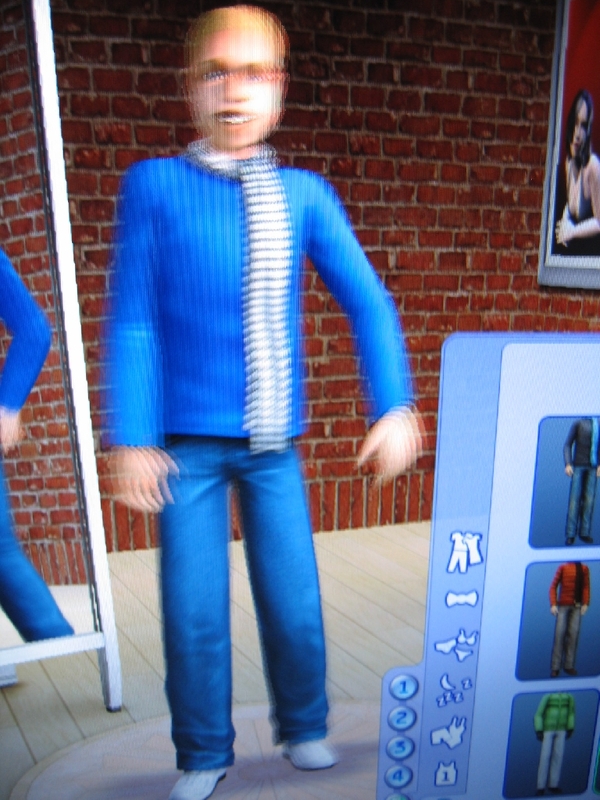 Normally your Sim will automatically spin into the outer wear clothing if they need to. If you want to pick a different outfit a coat rack by the door will fix this though. 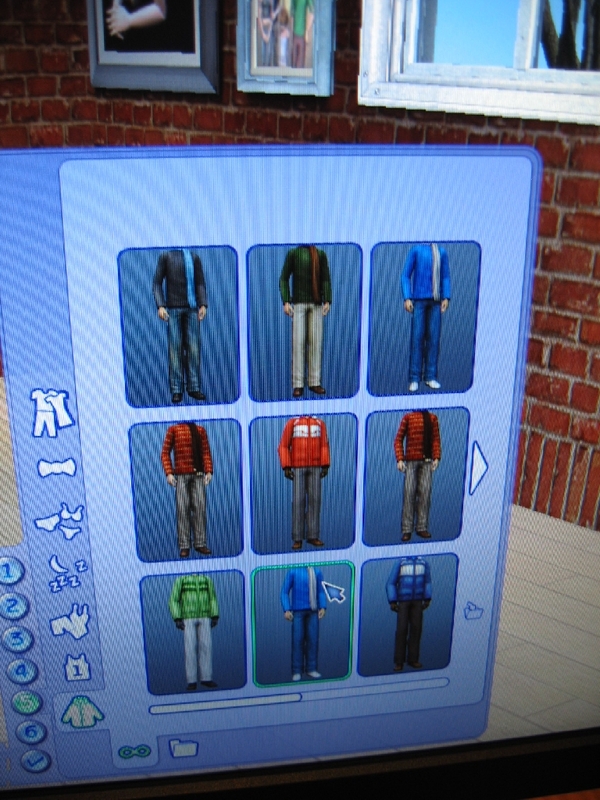 As you might expect, most of the new clothing is in the outer wear this time, and not much has been added outside that. Of course it'll also be possible to create custom outer wear, as the Body Shop has been given a small facelift. Written at 20:20 on Wednesday 20 December 2006 by ChEeTaH.